Can you believe we’re just days from November?? I swear time just speeds up. Although at the moment I’m really antsy! Yes, in part because I want to get past the hopped-up on Halloween feeling in my classroom, but I’m also excited to switch out my writing station. It tickles me to see how much the kids are enjoying this! Now that I’m in my 2nd year of doing this, I’m much more confident and things are running sooo much more smoothly (except for Working with Words–don’t ask). As it’s outlined in the Daily 5 book, the stations don’t change too much. At least not the way centers used to! And that, I think, is why it is so easy to maintain. The kids always know the expectations and understand their choices and Teacher isn’t run ragged trying to come up with something for the next week. But I’ve realized that kids need something new to keep their engagement fresh. So I’ve tried to devise a balance between predictablity and novelty. The station’s framework stays the same all year, but the content changes monthly. I found these “Create-a-Prompt” flipbooks at Lakeshore. I was excited because 10 in a box = a new one each month. But the kids haven’t really gotten into these. Oh, they love flipping through it to make silly sentences, but it hasn’t sparked any real writing. :/ Oh well. I had the Take-it-to-Your-Seat writing center folders last year (I also have science ones), but this year I got wise and am only putting out 4 or so a month. That way no one is getting sick of seeing the same thing. One of the main things each month are the journal prompts. The expectations are constant, but displaying them in a novel way really keeps things interesting. This is a little bus box I got at Target. Inside are apple shapes from the dollar store. I just wrote the prompts on the back of each. The letter and list writing choices are the same as last year. I’ve accumulated a massive collection of $1 notepads from various stores. The kids are limited to one “fancy” paper a day–and they use it! Letter writing is still a favorite choice. List writing has gotten more popular thanks to a lightbulb moment I had in the dollar store. I needed an excuse to buy the cute school bus notepad at the dollar store and decided to make it the “list writing notebook.” Apparently all the kids needed was a way to share their writing because someone always has this out. I bought a pumpkin notepad for October (I got mine from Target) and an owl for November (I got mine from from Dollar Tree). Michaels had cute Mary Englebreit Christmas and “wintery” themed ones for cheap, so now I’m good until I can find a Valentine-y one! The class journals are getting more use this year, too. The kids enjoy looking at last year’s entries and then adding their own. They also write comments to each other. I love reading these stories. The journal topics are: Ouch, Vacations, Halloween, Christmas, First Grade and Kindergarten Memories, Sports, Lost Teeth, My Family, and Birthdays. I tried to pick topics that 2nd graders write about a lot. The Research choice is one I introduced part-way through last year. I have an assortment of flashcards from the Target dollar spot on random topics: bugs, landmarks, presidents, musical instruments, American animals, etc. I also have a couple sets from Jo-Ann’s on transportation and jobs. These cost a little more and they’re about a 2nd grade reading level, but the ones from Target are on more interesting topics so they get used more. I switch out the decks each month. The kids choose 1 card, read the information on the back, and fill out a paper. These are collected and each month I bind a class book. Having a format for publishing their work makes them much more excited about this choice! In a few months I’ll introduce the Rory’s Story Cubes. These are cheap from Amazon. I made a class story book for these stories. For a few of my kids, this was their choice every day and even some of my reluctant writers were composing 3 page stories! Well worth $7.50!! However, when I made the class journal I didn’t expect such epic stories. I just copied each page front and back. This year I’ll fix it by adding lots of lined pages between stories. Maybe a binder would be more practical than a book. Hmmm…something to think about. For birthdays I found this fun set from Really Good Stuff. On the day of a birthday, everyone is expected to write the birthday child a happy wish very first. Who wouldn’t love getting a sackful of wishes? Another writing choice is the Write & Publish center from Lakeshore. This is the only thing that’s changed weekly. I still have room on my writing board for one more choice. I haven’t narrowed it down yet. I want to do something with poetry, but I haven’t found an idea that really gels for me. I’m leaning toward “Super Sentence” writing, but I’m not sure. If I figure it out I’ll let you know! Check back tomorrow and I’ll give downloads and lists for each month’s writing activities! Wow, thank you for sharing, these are such great ideas! Wow…you guys are amazing! These are wonderful! Thanks for sharing. My daughter is only 2 but I may take some of your ideas or items you purchased and find them and use them for monthly activities. Thank you!!! I love your writing centers organization. Thanks for sharing! Thanks for sharing these awesome ideas! I needed some springboards! Great thoughts here. I really like the class journal idea and your research components. I teach K and see some ways I could adapt to match my students. The b-day wishes sack, LOVE! I’m homeschooling for the first time this year and I have a 1st & 3rd grader. I’m trying to get my oldest to write more but my ideas only get one sentence answers. Do you have any tips on how I could incorporate this with just 2 kids? I really love your ideas!! I love the Research cards idea! My kids love those non-fiction cards (I have some great Guiness Book of World Record cards), but I’ve never known exactly how to use them. Now I have some great ideas. What do the students put in the mailbox? It looks really cute. Trying to find a purpose to make one!! And thank you so much for sharing. I am working on revamping my writing center and loving all of your creative ideas. Thanks for the kind comment Jenn! I love the birthday sack, too. Sometimes Really Good STuff has great finds! I’ve only ever worked with groups of 20 or more, but I’d love to hear what you come up with! Guiness Books are a great idea! I have some in my class library but I’ve never done anything with them before! The kids can write letters to each other. I read them before they’re handed out, just in case! Hi, I am new to the daily 5. I have not started with the writing portion yet. Thank you so much for sharing these awesome ideas! My head is spinning with all of these ideas! I have those Target cards, now I have a great use for thm. I can’t wait to get started on this Monday!!! I have been struggling with getting quality writing out of my “Work on Writing” round in the Daily Five (with my first graders). I love your ideas and I hope they will get my kids excited to write again! Thank you for sharing! Hi! I LOVE your writing station ideas! Could you share the different topics of your class journals? I think my kids would really get into writing “ouch” stories. I’d like to use that and your other journal topics. I’ll do my best to remember (since they’re at school and I’m at home). Ouch, Vacations, sports, birthdays, Christmas, Preschool-Kindergarten-First Grade. I just tried to pick topics I knew most 2nd graders had a lot of experience with. These is all so great! Thank you for sharing! I would love to know, how do you hold your kids accountable for their writing? Do they turn it in daily, or do you check it periodically? Hi, do you happen to know the name of the cards you use for the research choice? I love those! I’m not sure what brand they are, but I got them in the Target dollar spot over the course of a year or so. I bet they’ll have some more with their back-to-school stuff in the next few weeks. The first year I did it I had a check-off sheet similar to the ones in the Daily 5 book (or on Pinterest, I forget which). Last year I had a really good group of kids so I found they didn’t need it. 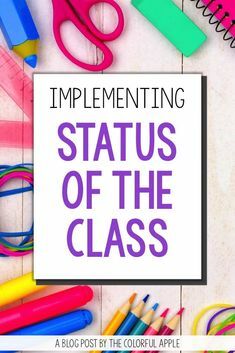 Ok, maybe you already answered this question, but, what topics do you use for your classroom story journals-I saw the “ouch” one, which is obviously writing about a time they got hurt, but what are some other ideas that you use? I am not that creative when it comes to the minds of 1st and 2nd graders! Nevermind, I just went back and looked, and I totally missed it. You already answered the question! I LOVE your ideas!!! Hey, love these ideas! 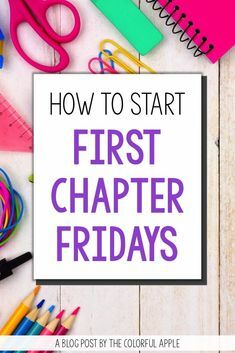 For the lists, can only 1 student write a list at a time or do you have more than 1 book? Same question with your notebooks. What if the child didn’t finish the story they started? I’m problem solving from my kinders who I am looping with to 1st. They struggled to finish in a sitting (or some to even get started) but I love how diverse your choices are. Only one kid can do the list at a time. If they don’t finish something during the writing station that day they can finish it another day. Or choose not to finish it. Authors don’t finish everything they start. But you should do what works for your class. I am a new teacher and I just want to express my gratitude. Thank you so much for sharing all this. I was stumped about what to do for work on writing and now I feel much better! Seriously, can’t thank you enough! Thanks for the lovely comment, Erica! I’m glad we could help. Best of luck this year! I love the different ideas and am very much looking forward to making my writing center work this upcoming school year. Quick questions…. With the monthly prompts, does a child choose a prompt and write on the topic in a personal journal? And do the class journal topics remain the same throughout the year? In other words, does the “Ouch” or “Vacation” journal stay in the center Sept-June? The journal prompts are answered in the students’ personal journals. The class journals stay the same all year. I love your writing station! I would like to know what all classroom composition books you have. I see “Ouch” is one,but what are the others? 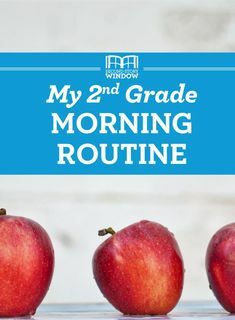 I would love to start these for my first graders! Thank you for all of the wonderful ideas! I’m looking forward to reorganizing my Work on Writing area this year. How do you introduce each writing activity? One at a time or all at once? We are in the first few days of work on writing and I’m not sure if I should let all 26 of my students start using the activities at once or wait until we are fully into the daily 5 so they are not all fighting over the materials now? I’ve done it both ways. When I had 18 kids it was easy to do one at a time. When I had 26, I just didn’t have enough materials to do that so I explained them all at once. We probably spent a week on it. The first day I explained the choices and then I dismissed them one at a time. They had to tell me their choice before going to work. At the end of work time I had different kids share what they had done. I repeated that for about a week. Yes, I explained every choice every day until I felt they were solid on it. Hi! Your work on writing station is incredible. I can’t wait to implement some of your ideas in my classroom. Can you tell me if Target sells these cards throughout the year or only at the start of the school year? They had those cards out in the dollar spot up until a week or so ago when they put out the Halloween. Weve only seen them at back to school time. What are some of the class notebook topics you use? Thank you so much for sharing! 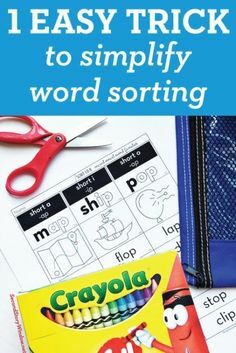 I am always looking for ideas to supplement learning at home and this is great! I’m so glad I found your site! THANKS! Oh my gosh! I can’t wait to get to a Dollar Store now and begin collecting some seasonal things! I’m going to use these ideas for next year! Do you make the kids rotate through the different activities or can they “write a letter” EVERYDAY if they so choose?? Hi, just wondering how you manage these materials? E.g. Do they hand them in to you? Or do you have a different system of checking the work they are doing? I’m new to Daily 5 this year, and am finding Work on Writing the hardest to manage and conference with the kids about. Thanks! Thank you so much for sharing this!!!! I am implementing the daily 5 in my classroom this fall and am looking for ideas. I was just wondering, do you think these writing activities would work well with third graders? Also, the Lakeshore Learning writing station set you have, do you think that would work well with third graders? Let me know what you think and thanks again for sharing! I just need to say THANK YOU! This is beyond a blessing for me as I’m starting a new grade and am starting the daily 5. Thank you, thank you, thanks you! Made my job a whole lot easier. I love it! I am amazed at all the awesome ideas you provide here. I have only read two of your posts and Im excited! Thanks soo much for sharing your insight and creativity. Oh my! I am so keeping your blog in my faves. Blessings! What a great way to keep the kids writing. What topics do you use for the class journals? O love that idea!! Ouch, Vacations, Halloween, Christmas, First Grade and Kindergarten Memories, Sports, Lost Teeth, My Family, and Birthdays. I tried to pick topics that 2nd graders write about a lot. I don’t really conference with the kids about Work on Writing. I do during Writer’s Workshop, but I don’t worry too much about this. I try to collect writing pages so I can turn them into class books. It seemed like the most authentic use of their written pieces. Thank you so much for putting time into posting all this. I am a brand new teacher and am trying to figure out what I am going to do during ELA. I am going to follow most of your writing center for now until I can tweak it for myself. Thanks again! Wow thanks for this!!! Amazing!!! Truly appreciated!!! How glad I am to have found your website, and these posts! I have a reluctant writer for a son, and his teachers have always had a challenge getting one or two sentences out from him onto paper! He’s in grade 4 now, but even with A’s in math and reading, he still writes as little as he did in grade 2. So I’m going to utilize your ideas at home! Because there are no classmates here, I may do some of the activities as well so that we can both build the journal together, etc. Thank you so much for sharing your innovations! I’m very excited to get to work on our special “writing station” at home! Are the kids required to do each activity throughout the month or can they choose the same thing if they want? I can see some kids always picking lists because they are easy. I would LOVE to ask a few questions! 1. How do you introduce these stations to your class? One at a time? All at once? How long does it take for them to get it down? 2. Do you have a template for the little list you have hanging on a pin? Thank you so much for your time!!! As a new teacher, you and your products have been very helpful! Oh! And do the kids take things to their deal and work? Or work at the station? I was wondering if you had a link to your labels for your journals. I love the OUCH journal? I need the “I can make a list” student pages, do you still have them? Thanks so much for your ideas!!! I teach a 1st thru 3rd grade class in a Montessori environment, but I can use so many of these suggestions. I love the class journal !!! These are great ideas! I’m definitely going to use this! Thank you! These are great ideas! Thank you for sharing! I’m having trouble accessing the list ideas. Is there a different link that works? Thank you!